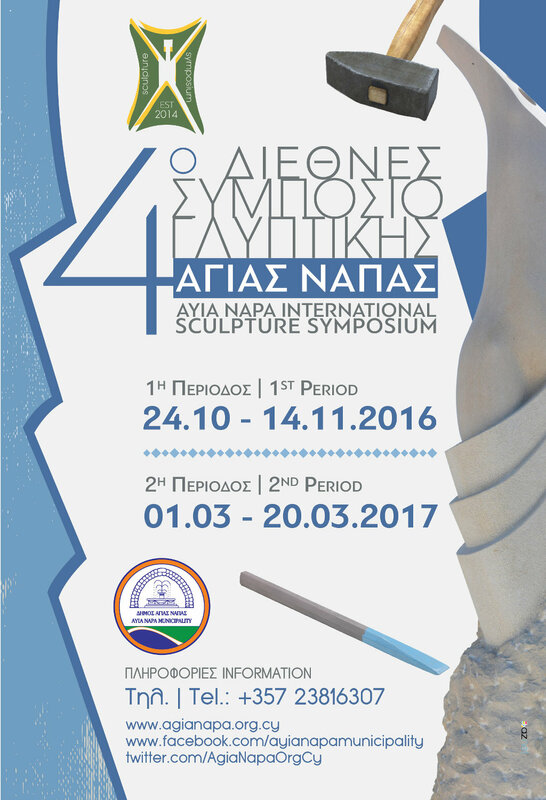 The 4th Symposium will take place in two time periods 24/10/2016 - 14/11/2016, 01/03/2017 - 20/03/2017. During the Symposium’s period there will be a group participation of more than 8 artists in creating sculpture works. During the ten last days of the second period, other artistic events with the primary theme: "the Cypriot Aphrodite of Cape Greco" will be taking place such as Music Concerts, Fine Art Exhibitions, Literary Presentation Events, the awards of participating artists etc.